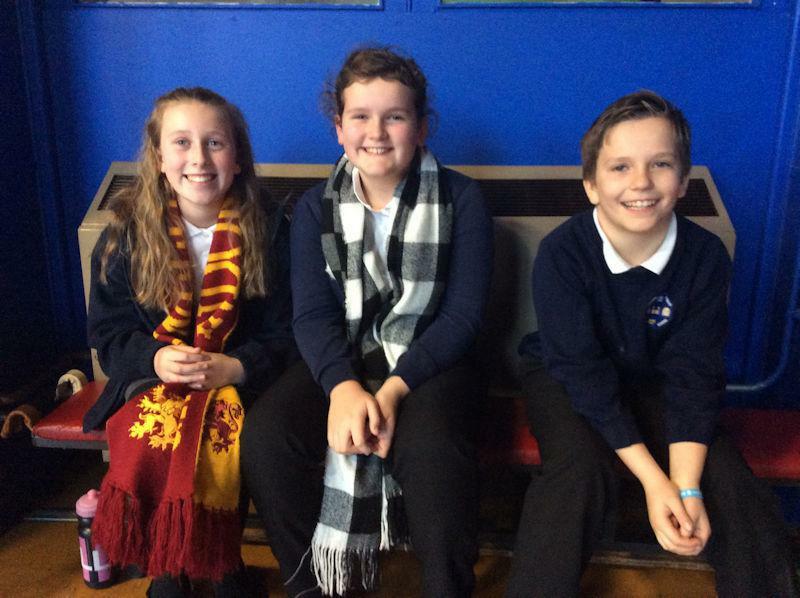 In November, the three children in the picture below helped us to raise £503.79 for the Poppy Appeal. 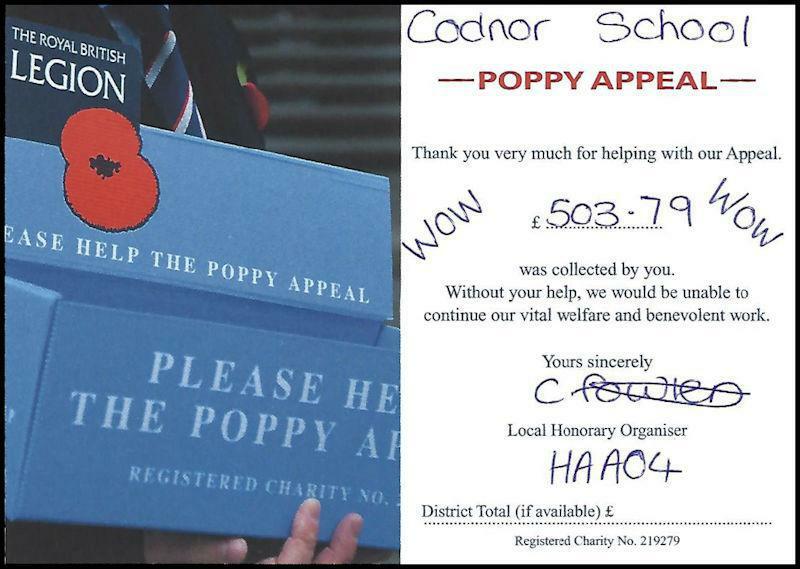 When the Poppy Distributor brought in the postcard (pictured below), he said that our school has raised the most of all the schools, offices, shops, pubs, etc. which he has supplied to in the Ripley area! Also, as a whole, the Ripley area has raised a record-breaking amount this year. Thanks to our three brilliant Y6s for organising and selling so well, and of course to our community for their generous donations.